Former old guard minister Mr. Chua Sian Chin died two days ago. Mr Zhou Yingnan yesterday. 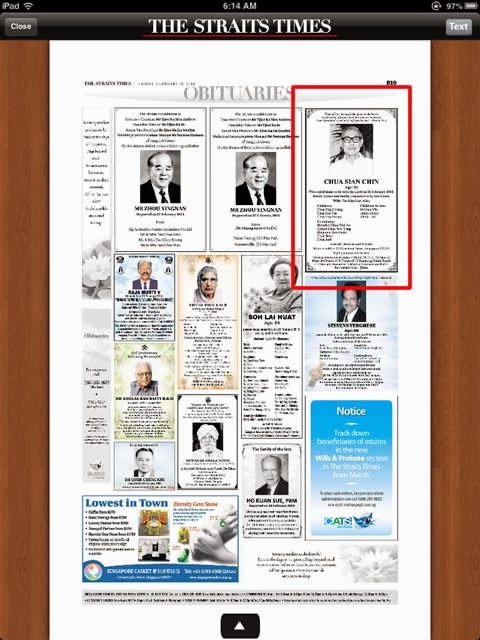 Their obituaries in the ST today was very interesting. I try to make Chua Sian Chin's entry more prominent with a red box. This is unnecessary for Zhou Yingnan. He is present across several pages including this one. I remember Chua Sian Chin. As a kid I learned from him in a speech I never forgot that the only constant in life is change. 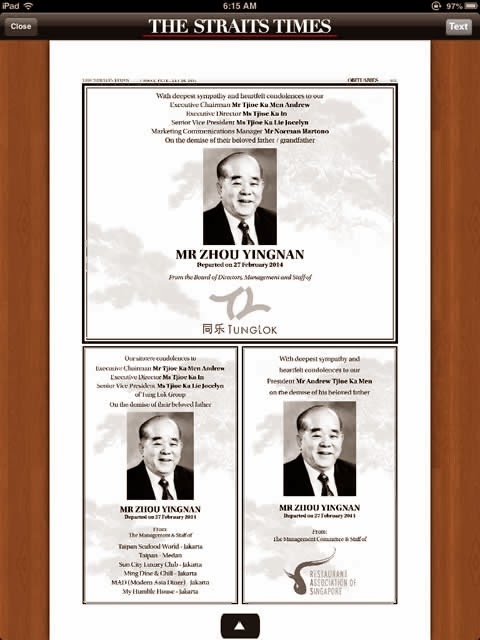 But who is Zhou Yingnan except that his family is rich and well connected in business. I think by and large people prefer to have the Zhou's than Chua's life. 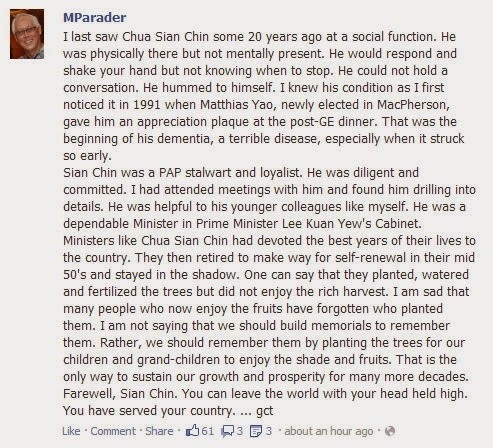 An apt tribute by Goh Chok Tong to Chua Sian Chin. Do some research on Mr Zhou first. Apart from being a rich man, he was also a man of many literary talents and rather prominent in the Chinese literary circle. He also helped to plead for the lives of the people who kidnapped him back in the 70s.